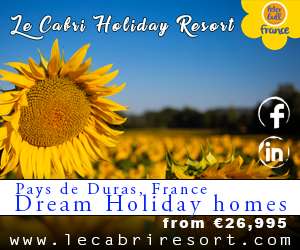 North of the Aveyron, the Carladez and the Truyere Valley is the most secret part of the department. The Carladez runs along the river Truyere. There are many dams producing electricity. Mur-de-Barrez is the capital of the Carladez and is a medieval town which used to be under the administration of the Count of Monaco. The steep roofs of Mur-de-Barrez have a ball of basalt, supposed to bring fertility to the house. The originality of the architecture of the traditional houses lies mainly in its roofs, the variety of chimneys and the skylights. The roofs are very steep because there is a lot of snow in winter in Carladez and especially because the roof slabs are very heavy (100 kg to the sq.mtr. on average). The steeper the roof slope, the less weight it has to bear. The roof slabs are made of schist. Many roofs have windows in saddleback form, “fenestrou”, and fanlights. They used to be the places where food was dried. At first glance, the local villages seem austere, with their black basalt houses. But this impression is quickly dissipated by the fineness of the lines and the light reigning in on these hill villages. North-East of Carladez is the Aubrac. The typical property in the Aubrac, the area known as “Europe’s last paradise” is built of granite and with traditional stone roof tiles known locally as ‘lauze’, the property is typical of the Aubrac. Here you are at the foot of the volcanoes of the Auvergne, in the mountains of the Aubrac. This is a mysterious place, where winter snowstorms used to be as bad as in Siberia. But in Aubrac, each Spring brings with it thousands of species of amazing wildflowers which are a botanist’s dream. The Aubrac itself rises northwards from the Lot valley, eventually spreading itself across the high plateau at an altitude of 1,200 to 1,400m. This is a land of nature in the raw. Dark peat-soiled plains are criss-crossed by dry-stone walls and clear streams, dotted here and there with low stone shepherds stone cottages (the walls mainly built with basalt with granite in the corners and the roof are made of lauze – schist stone) called “burons”, many of which have sadly fallen into ruin mainly because of the weight of the roofs and the high cost of renovating them. But for those in search of high altitude, some of them can still be restored. These shepherd’s “burons” attest that this was once sheep country but now the Aubrac is home to the beautiful and highly prized black-eyed cattle which bear its name. The main town of the Aubrac is Laguiole (pronounced ‘lie-ole’) a name famous as the home for the Laguiole knife and also for cheese and lemonade to a lesser extent. It is also a good ski station in the winter. The downhill skiing is limited with 12 lifts at Laguiole but there are more than 200kms. of marked crossed-country trails as well as snow-shoeing, perfect to build an appetite and eat in one of the best restaurant’s in France. Aubrac is another town where there are a few houses made of volcanic stones around a square. But it used to be quiet but is getting trendy and becoming the new Luberon, as wild and authentic. In the heart of the Aubrac there is also Saint Chely d’Aubrac., which is picturesque village where many walks start.